It was one year ago on Nov. 8 when Hillary Rodham Clinton won the popular vote of the presidential election, yet lost out on the presidency. 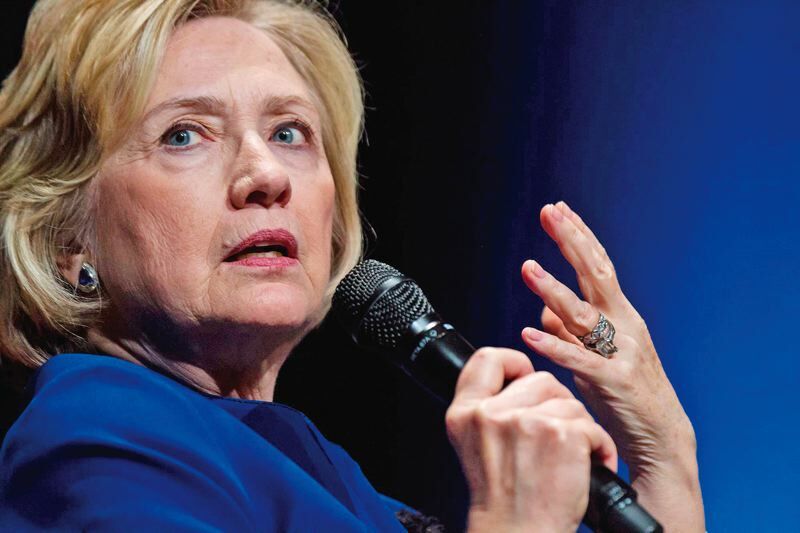 Since September, Clinton has been touring the country on a nearly sold-out book tour, offering insights from her campaign that are revelatory, funny, sad, painful, inspiring and inevitably controversial. The three-month, 16-city tour wraps up next month with her sold-out Dec. 12 show in Portland at the Arlene Schnitzer Concert Hall, and a final show on Dec. 13 in Vancouver, British Columbia. Like most of her public life spanning the past three decades, the book, titled "What Happened?" and book tour have been a polarizing force, even among supporters. This comes at a time when several scandals are breaking at once: namely the Russia investigation indictments and allegations that Clinton had the Democratic National Committee rig the primary election in her favor. Even before those developments, ardent fans signed up for prenotifications of Portland's book tour ticket sales so they could see and hear Clinton talk about "What Happened" in person. They'll be filling the 2,776-seat concert hall on Dec. 12 with other members of the Pantsuit Nation, as her followers call themselves. "I need to be present in the same space as Hillary; to witness her human discussion of (hopefully) some of the most morally repugnant and historically significant events of my generation," says Sara Bourne, a Beaverton mom who brought her daughters to Clinton's election-night party in Portland and attended the Women's March in Washington, D.C. in January. Bourne paid $150 for a ticket to Clinton's Portland appearance, which includes a copy of the 469-page hardcover book. Others who voted for her say the cost of the event just isn't worth it, and haven't made reading the book a priority. "I liked Hillary over Bernie (Sanders) but I wasn't excited enough to campaign on her behalf, which in retrospect, I should have done," says Celeste Lewis, a Southwest Portland mom and lifelong independent who did not buy tickets to the book tour. "She was the best candidate, period," Lewis adds. "For all those smart people who decided for whatever reason that they couldn't support her, I say it was gender discrimination, nothing less. Talk about challenging our own biases ... this country has a long way to go." Clinton's tour has come under fire because ticket prices skyrocketed upward of $1,000, and none of the tour's proceeds are benefiting charity. Bourne calls that type of criticism typical of the double standard that's plagued Clinton's candidacy and public life. "Let's instead elect a gold-plated fraudster to office and then spend 50 million bucks so he and his buddies can golf at his own line of gold-plated resorts," she says. 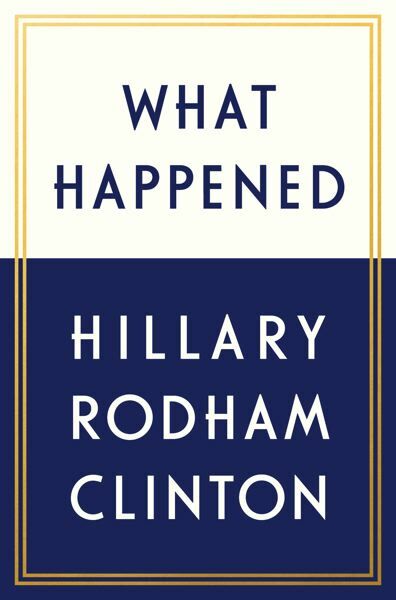 In candid detail, "What Happened" spells out Clinton's deepest thoughts on everything from her relationship with her daughter and husband to sexism, racism, the gun debate, the email scandal, former FBI Director Jim Comey, the election debates and newest grassroots movement, Onward Together. So what's left to hear, in person, that's worth hundreds of dollars? "I hope to hear more of her personal account, and see how she, as a human, has been able to rise above the vicious stolen election," Bourne says. "I hope to gain perspective in how to accept the grief over what this means for our society and culture. I think all of us need to connect to the acknowledgement of what really happened for the tens of millions of us who knew all along and watched it go down with horror. We are not alone. We are the majority." Whether or not they will be attending the book tour event, progressive women do agree on one thing: That Clinton's candidacy inspired millions of women everywhere — to be leaders, to run for office, to speak up and not wither in the face of criticism. "She is the poster child for all the conflicted thoughts we have about womanhood," Lewis says. "I certainly identify with all the crazy expectations our society has asked of her ... be smart, but not smarter than the senators in the health care hearing room. "As a candidate, look good, but we get to decide if your ankles aren't thin enough. Be tough and assertive, but not too mouthy lest someone calls you the b-word. Stand by your man, even if you might not want to and on and on ... and continue to work harder and get paid less than your white guy co-worker." Bourne shares that sentiment. She's eager to move past the "glittery racist fear-mongering" she sees in everyday news reports and work toward a solid vision for equality and democracy. "Until Americans are ready to do that," she says, "we'll keep sliding backwards, together."